Pagan spells are really just another way of saying "witchcraft spells", though not everyone who is Pagan identifies themselves as being a witch as well. So this page may cater to Pagans a little better though these spells are perfectly suitable for Wiccans, witches or Pagans. This is an abundance spell, used to bring some extra bounty into your life. It's usually a financial thing, but you can utilize this sort of energy for other things as well. Cast this spell on a bright sunny day, hopefully with a little privacy. Find a large healthy tree to be part of your spell. Before you get started, paint the numbers 1 through 5 on the stones. Then stir up the honey into the water, and put it in a container you can easily carry with you to your ritual location. Go to your tree, and set out the 5 stones around the trunk so that it makes the 5 points of a pentacle when you follow the numbers. Stand just outside the circle to the north. Let my fortunes grow nigh. Crouch down and pour the honey water at the roots of the tree as an offering. Place both hands on the trunk of the tree and give your thanks for its energy. Stand again and repeat the same words as above. If the tree is on your own property, you can leave the stones in place. Otherwise, take them home with you and place them in a windowsill or even outside if you can. This is a little protection charm bag you can use to keep your home safe from negative or evil influences. You'll need a natural stone, around the size of a quarter. Use the hammer to break the stone into at least 2 pieces. Gather up all the bits and put them in the bag, along with the feather. If the feather is too long, use scissors to cut it. Just make sure you use all the pieces. Roll up the strip of torn paper, and stick that in the bag as well. Tie the bag closed, and bury it out by the back door of your home. If you live in an apartment, stash is someplace hidden near your balcony door or anywhere opposite from your main entrance. This little Pagan spell can keep your home safe as long as its in place. Pagan spells are usually more geared towards the natural world, though most of the witchcraft spells on this site would fall into that category anyway. 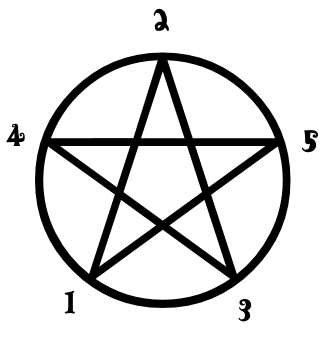 For another flavor of magick, you can check out the section on Wiccan spells too.